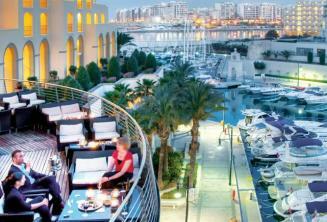 The Hilton Hotel in St. Julians is arguably the best hotel in Malta. 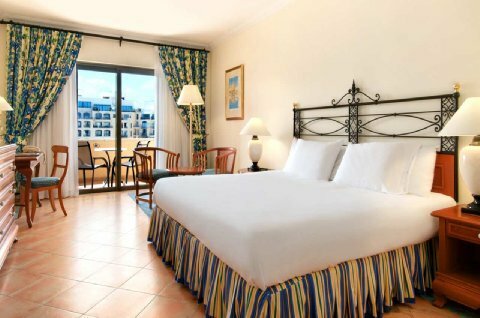 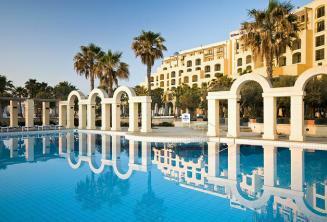 The Hilton simply offers the best accommodation and the highest standards of service in Malta. 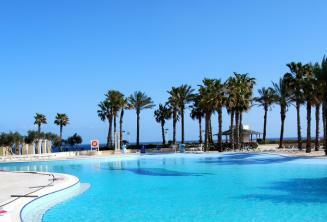 The Hotel overlooks an exclusive yacht marina and three private outdoor pools surrounded by palm trees and sand. 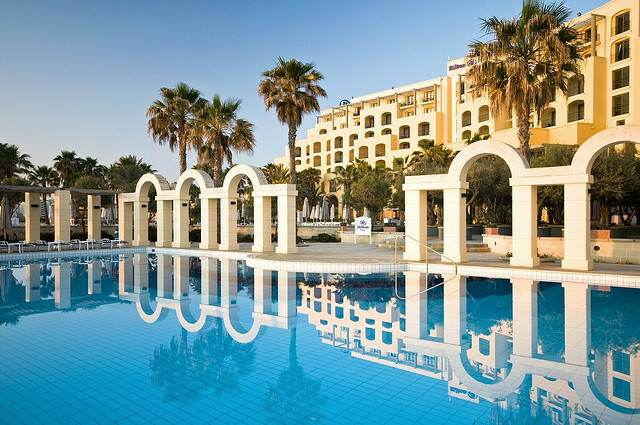 Full air conditioning, babysitting service, hair and beauty salon, concierge service, business center, secretary service, currency exchange, disability-friendly facilities, fully equipped mini bar, electronic door locks, jet ski, scuba diving, fitness center, sauna, steam room, wellness and spa, 4 pools including one indoor pool, cleaning service, cable TV, squash facilities, tennis courts, Merkanti Beach Club, water sports and diving center.